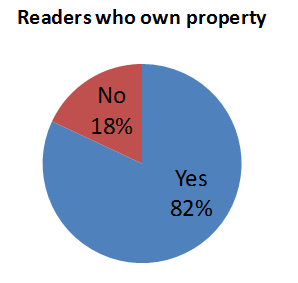 Survey Results – Who Reads the Singapore Property Weekly? Last week we sent out a short survey to our members – thanks to all who participated and congratulations to the lucky three who won a free copy of the Secrets of Singapore Property Gurus. We’ve compiled the results and found some of the following data fascinating. 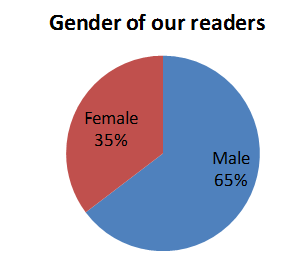 We were surprised that 65% of our readers are men – perhaps guys are more interested in investing? 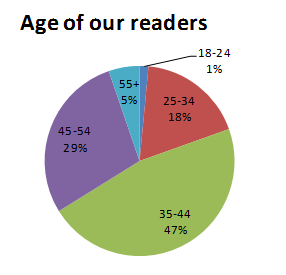 80% of our reader are aged 34 and above. That makes sense – you usually need to take some time after starting work to accumulate enough funds to buy a property, and then a couple more years before you look to get an investment property. 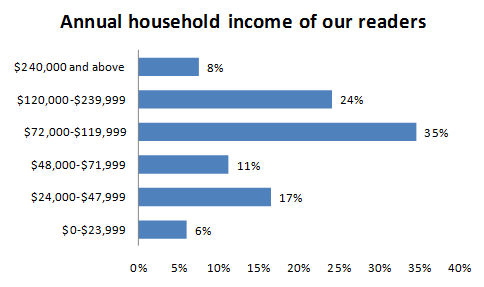 66% of our readers have a household income of $72,000 and above, suggesting that the average Propwise.sg member makes a lot more money than the median Singaporean household! That’s good news, because having a high income makes it much easier for you to buy and support a second property, and thus benefit from the potential wealth creation from property investment. Knowing this, we will also start to write more on property investment topics in the future. You guys are smart folk! 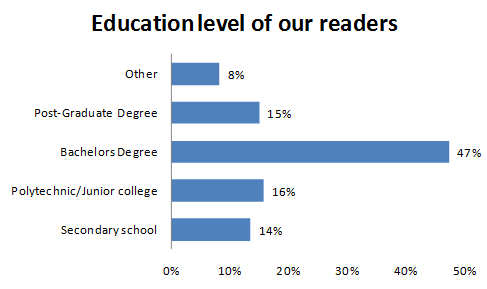 62% of our readers have a bachelors degree or above. Of course, it doesn’t mean that you’re “dumb” if you don’t have a degree. Street smarts are actually much more valuable than school smarts, and especially so when it comes to property investing. 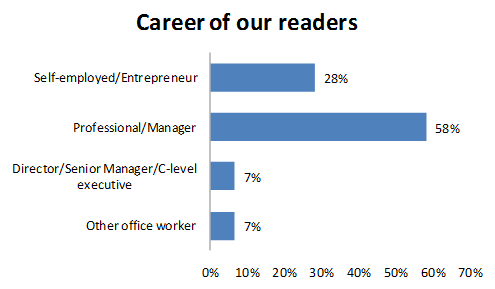 65% of you identified yourself as either a Professional/Manager or a Director/Senior Manager/C-level executive. That ties in well with the household income and education data. What I found surprising was that 28% of you are self-employed/entrepreneurs – kudos as I’m a big fan of entrepreneurship and know how tough it can be. 82% of you already own property and 96% of you are interested in property investment. As mentioned previously, now that we have a clearer idea of what you’re interested in, we will start to write more on property investment topics. 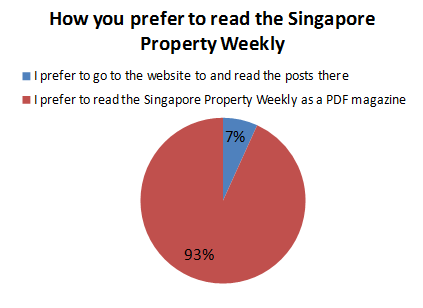 Good to know that our decision to create a weekly PDF magazine for you was the right one as 93% of you prefer to read the Singapore Property Weekly as a PDF as opposed to going to the website and reading the posts there. For the 7% who prefer reading the posts, we do put up most of the articles in the magazine on our site, but there is usually a delay of a few days. We went down the very unconventional route of formatting our e-magazine in the landscape format (and having larger than normal font), as we figured that would make it easier for people to read it on their computer or tablet (e.g. iPad) screens. 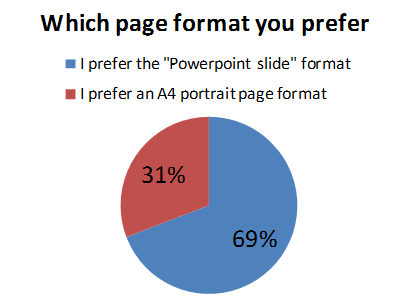 Seems like the majority (69%) of you like it, but a large number (31%) of you still prefer the traditional A4 portrait page format. If that’s because you prefer to print out the magazine to read it, here’s a quick tip: you can print two slides on one page and it’ll be just right to read in portrait format and also save you some paper and ink. If there are specific difficulties you are having reading the magazine do let us know and we’ll try and resolve them in future issues. 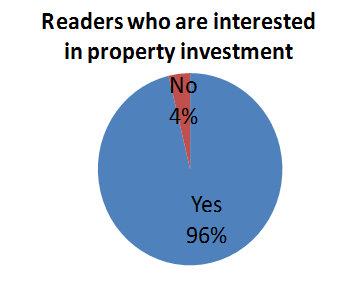 To sum up – our readers are largely high income, well educated people who are interested in property investing. We’ll keep that in mind as we come up with new content for you. Also, if you’re a property agent or run a business and would like to reach our members, head over to www.propwise.sg/advertise/ to check out the many affordable ways you can do so. PreviousPrevious post: Will Interest Rates Go Up Soon? NextNext post: Singapore Property Weekly Issue 6 now out!